Come on in to Ewald's Venus Ford for the best selection of high quality and efficient new vehicles for sale! We have the widest range of vehicles for sale, from all different makes and models, all right here at Ewald's Venus Ford Dealers Milwaukee! With our Ford dealership in Milwaukee you can easily find a beautiful new or used car that will perfectly suit your every need and desire without fail! Come in to Ewald's Venus Ford today and see all that we have to offer, like our selection of amazing new 2016 Ford Focus cars for sale! Our selection of new and used cars for sale all feature high quality and beautiful interior and exterior aesthetics, and each one will be able to show you a wide range of awesome and powerful features and options that you will enjoy, as each one will work hard to bring you to new levels of comfort, efficiency, and convenience, all for a low, easily affordable price! 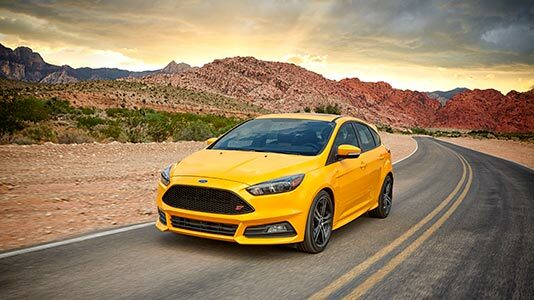 Come in to your local Ford dealer Milwaukee, Ewald's Venus Ford, and look for yourself at our inventory of awesome new cars, like our previously mentioned 2016 Ford Focus cars for sale! The 2016 Ford Fusion SE features a large amount of features that you will enjoy, starting with its powerful, yet elegantly efficient 2.0L I-4 GDI Ti-VCT Flex Fuel Engine! This powerful engine will easily give you plenty of speed to use as you drive down the road, but it doesn't sacrifice efficiency to do so, as this vehicle gets an estimated 30 City and 42 Highway MPG, saving you plenty of money and gas! You will also enjoy its Integrated Turn Signal Mirrors	that will give other drivers, especially to those in your blind spot, that you intend to turn or change lanes, as well as its Keyless Entry that will provide you with easy, hassle free access to your vehicle at all times! For more information about our amazing new 2016 Ford Focus, come to our location at Ewald's Venus Ford, located at 2727 E Layton Ave. Cudahy, WI 53110!